If you thought the funky tie-dye Easter egg designs you created last weekend raised the bar, you’ve got about a year to try and top what Jiri Zemanek of the University of Prague came up with. 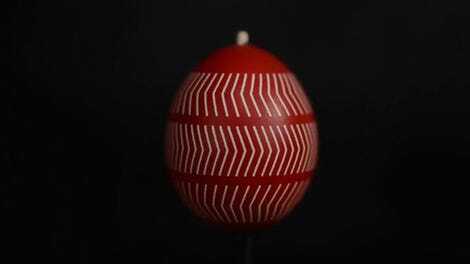 His Easter eggs feature looped animated designs that look like a Spirograph has come to life. 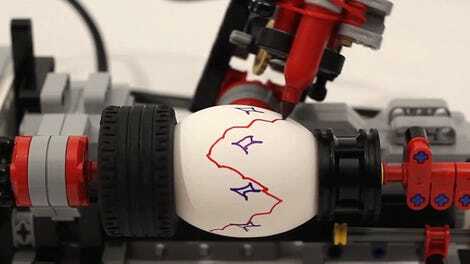 To create the effect, an egg was first covered in a photochromic paint that reacts to light. 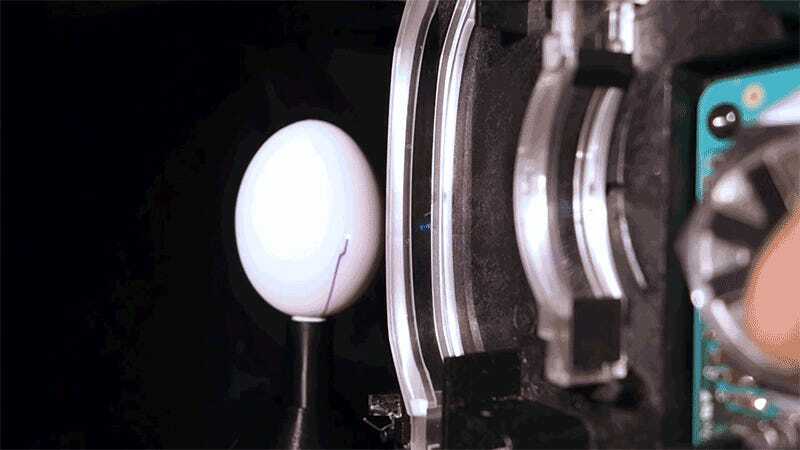 Its color temporarily changes from white to violet when blasted with a laser salvaged from a Blu-ray player, and by precisely controlling that laser’s motions, he creates intricate—but temporary—animated designs as the egg spins at high speeds. Who else is excited to see what they can with a pumpkin come Halloween?